Event displays are all about getting noticed, getting attention and getting your message across. We provide a complete range of visually stunning products to make your next display a real event. Get your Community on board with a display that attracts crowds. Grab a quote by clicking the button at the end of this page. Nothing says ‘here I am’ like a themed gazebo. Whether indoors or out, frame your space, raise the roof, and start getting noticed. Pull ‘em up and… Hey presto!...An instant people magnet. Compact, quick and effective, these delightful banners will do the trick every time. Create a media sensation to attract people with selfie sticks and a love of our characters and screen off the space behind your exhibit. 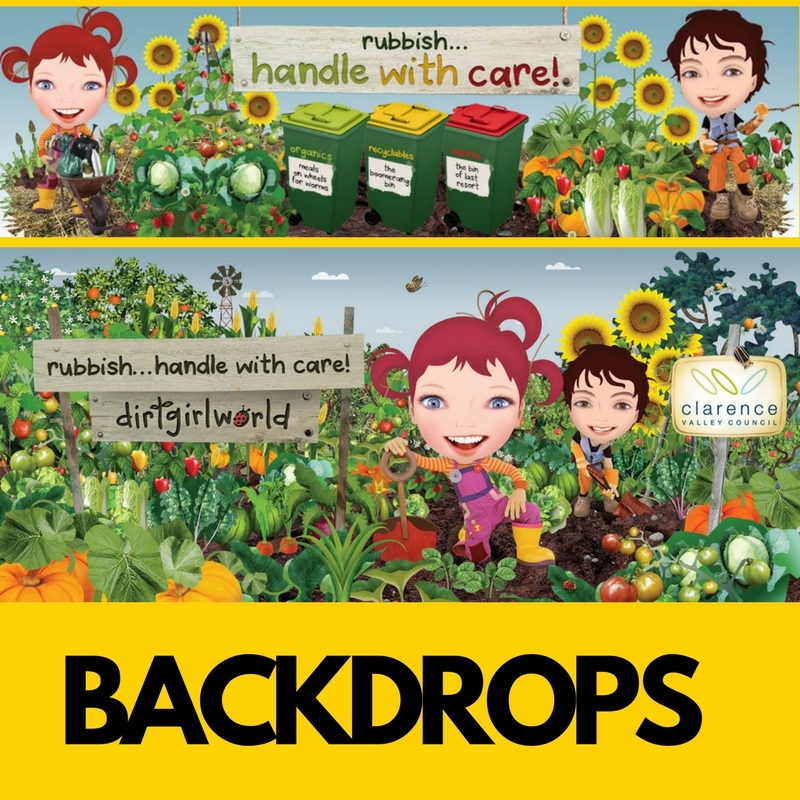 A range of cheerful corflute covers for high impact messaging. Make shopping centres and public spaces a place for your message. Put yourself in the picture with these beautiful photo booth cut out at your next event. Extend an arm and get a faceful, while happy snapping memories to share and enjoy. Colour and movement is the key to being noticed, ideal for outdoor use, but great indoors too. Please consider putting together your own package from any of the above options to meet your individual needs, and feel free to contact us for any assistance.